With an IT monitoring system implementation, the IT department easily collects data on the status and availability of its various IT equipment. The graphic visualisation of collected data, combined with modeling applications status for each business division, becomes an excellent tool to significantly reduce level-one helpdesk calls to your technical support. Let us introduce you with three best practices that already demonstrate their efficiencies. In a business unit, when there is unavailability of an application or a device, the first reaction is to call technical support. A great idea but … except when all users have the same idea at the same time (usually in the morning when he or she arrives at his or her workstation) … By providing simple graphical indicators regarding availability status of their tools, to both internal and external users, you reduce the number of calls to the helpdesk. The really good idea becomes to use graphical reporting tools for IT monitoring data (*) and to couple them with business activity monitoring tools (**). With these tools, you easily deliver understandable information in dashboards and truly visual indicators to non-IT users. From the elevator information display to the large screens updated in real time or email alerts, we’ve got many ideas to help you develop communication with your users. By the way, you reinforce the image of the IT Department with internal and external customers and develop new services with simple and reassuring message: “Your problem is taken into account and we are working to solve the problem we found, as quickly as possible”. 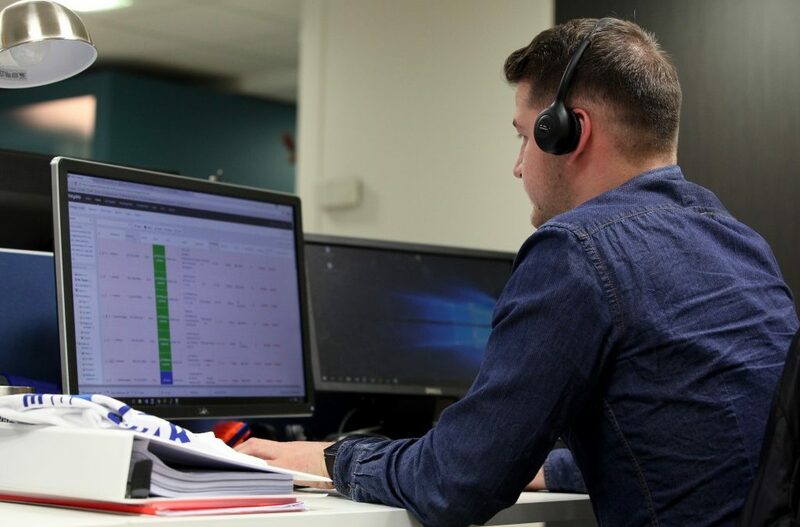 One point that may be crucial in operation or outsourcing service centre, where customer service and transparency have become real competitive advantages. The new generations of IT monitoring tools are no longer just useful to report that the equipment does not work. They are now able to easily identify the root-cause failure and to provide intelligible information by all. A good point for support teams who can make available to their non-IT users, indicators and procedures allowing them to respond quickly. There again BAM and data visualization tools are simplifying greatly your team work, especially in multisite environments without IT referent in remote sites. The holiday centers, specialty stores, hospitals or commercial agencies can gain in autonomy (and thus time) by triggering a simple action – such as restarting a router for example – to quickly resolve problem. Last but not least: improving service quality. Indeed, the popular common sense would tend to confess that “fewer are the IT interruptions or problems, lesser will be helpdesk calls “. This is exactly there that the power of monitoring business intelligence takes all its sense. Relying on Business Intelligence tools – such as Centreon MBI – the IT Departments can easily provide and promote the reporting towards Business Directions and General Management. Thanks to the analytic indicators delivered, they can enhance the work of IT teams and also quickly identify progress axes. And ultimately, improve the level of service. Beyond the basic accessibility issue of technical support, the monitoring team ability to communicate with final users, is critical to optimize the relationship between the IT Department and its internal and external customers. When it communicates, the IT Department is facing its responsibilities, keeps its environment under control and gives itself a chance to guarantee an optimum level of service. It is an IT Department in which users can trust and whom they will request wisely.